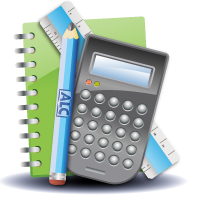 ALC offers study skills tutoring and help. Get organized! Helping our students achieve their dreams for a brighter future. ALC believes that there is nothing more crucial to your student's success than a thorough understanding of his/her individual learning style. Our tutors help students develop the ability, capacity, and desire to work and study constructively through an ongoing partnership with a focus on the big picture and real world successes. ALC tutors present successful strategies and skills through activities and modeling in a lively and enthusiastic manner. Homework does not need to be a daily battle - with proper study skills in place your child will soon be acing their quizzes, raising their hand to answer questions in class, and helping out their struggling classmates. ALC tutors will guide and direct your student as they gain confidence and pride in their ability as both learner and leader! By minimizing frustration and maximizing efficiency, your student will spend less time studying and will have more time to just be a kid! Struggling students with academic and/or structural needs. Successful students with organizational needs. Students that have lost confidence in their ability as a learner. Students will identify the style that best describes them as a learner (visual, auditory, kinesthetic) and "try on" study skills and techniques best-suited for their strengths/learning style. Students will learn to demonstrate self-management and discipline AND develop the ability and flexibility to adjust schedules as needed. Students will learn the role that goal creation plays in success and self-confidence/esteem AND become motivated to create their own realistic, attainable academic/organizational goals. • What does a goal look like? • How do you track your progress? • What do you do when you meet your goal? • Why do people do it? • What can you do about it? Students will learn to listen actively, engage in discussions, ask pertinent questions (using Bloom's taxonomy), interpret information presented and draw conclusions AND use outlining, paraphrasing, highlighting and abbreviating to increase note-taking efficiency. Students will learn how to monitor reading for understanding, distinguish essential from non-essential information, use graphic features and organizational structures to increase comprehension and group information into relevant topics/categories. Students will learn the importance of creating a distraction-free atmosphere and space conducive to effective concentration and studying AND learn some "tricks" to increase memory and information retention. Students will learn how to form well-crafted essays, select the correct multiple choice response, and prepare their mind and body for taking tests.